Probate gets a bad rap here at the Millhorn Elder Law Planning Group blog. Many of our articles state that probate is a lengthy, tedious process that people can avoid by creating the right estate plan. And this is still true. Often, you can minimize the number of assets that must go through the court-supervised probate process by creating a trust or a joint tenancy with right of survivorship. 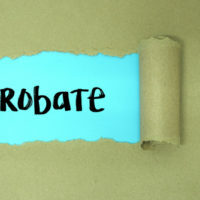 Nevertheless, probate has some surprising benefits, which you should seriously consider as you develop your estate plan. These benefits can protect estate assets and allow heirs to inherit more. After someone dies, Florida law allows their creditors two years to file a claim against the estate. If the creditor is successful, the estate might have to sell assets to pay the court judgment, which means some assets an heir is waiting to inherit might be sold. However, this window of time narrows to only 90 days if at least one asset goes through the probate. If creditors do not file their claim within 3 months, they are barred from seeking compensation from the estate. This shorter timeframe is a huge boon to the estate, since lazy creditors frequently miss the deadline if they are not paying close attention. Often, our clients assume they will not leave large, unpaid bills behind when they die. Nevertheless, you have no firm idea what expenses you will incur in the last few months of your life. For example, you might fall seriously ill and need expensive medical care that your insurance will not pick up. Alternately, you might die in an accident that is your fault. In that situation, other victims can file a lawsuit against your estate. Lawsuits, in particular, could cost your estate six figures or more in money damages. Probate also protects trust assets. If a decedent’s estate lacks sufficient assets to pay creditors, then the trust assets might need to be sold to pay claims. Reducing the amount of time a creditor can file a claim from 2 years to 3 months also preserves the trust assets for beneficiaries. Someone will need to shepherd your estate through probate. This person is the personal representative, who must collect estate assets, pay creditors, and handle any lawsuits involving the estate. At the end of the process, your personal representative pays any taxes owed and distributes assets to your heirs and beneficiaries. A personal representative’s job is complicated, and you might not entirely trust the person you have appointed. Fortunately, court supervision provides some comfort. If an heir does not think the personal representative is being fair, they can bring the attention to the court, who will investigate, if necessary. In this way, probate helps restrain the personal representative and creates an incentive for them to discharge their duties properly. Estate planning must be approached in a measured way, considering all of the advantages and disadvantages of different estate plan instruments. At Millhorn Elder Law Planning Group in Florida, we can answer any questions you have and create an estate plan that works for you. To schedule your consultation, please call 800-743-9732.